The difference between stepping-stone dispersal and long distance dispersal (LDD) is only a matter of distance, which is just one of the factors contributing to probability of dispersal; the former might also be described as short to medium distance dispersal. Any dispersal across a fragmented space is rendered more probable when a taxon possesses an added degree of vagility (small, resistant, aerodynamic, or buoyant disseminules), and/or time. 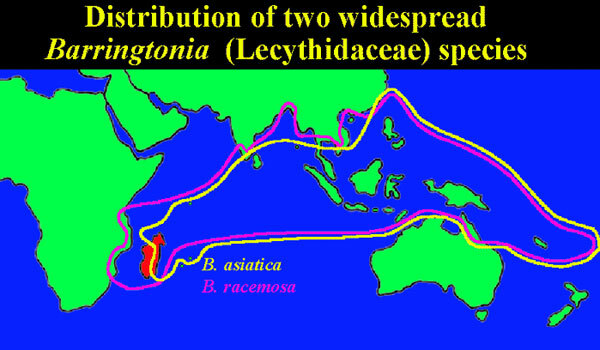 That dispersal over especially long distances has occurred is undeniably proven by the many Asian taxa that have reached the Hawaiian Islands in recent history, a distance of 8,000 km. As Raven (1979) noted, the distance from Australia to Madagascar is only about 2/3 (5,400 km) of that from Asia to Hawaii, and both source and target have existed for an extremely long time. Prevailing easterly winds and ocean currents in the Indian Ocean further increase the probability for LDD from Malesia to the western Indian Ocean (Renvoise 1979). 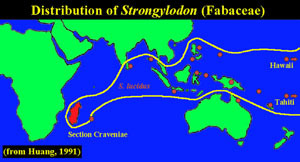 Accepting the fact that LDD is potentially continuously occurring, implies that it has undoubtedly occurred recently, as is witnessed by dispersal to the young volcanic Mascarenes (e.g., a phyllodic Acacia of certain Australian affinity (Bell & Evans 1978, who nevertheless conclude a former land connection between Australia and Mauritius)). Despite extrinsic directional forces, LDD is often stochastic in nature, and more often that not results in a highly imbalanced distribution. 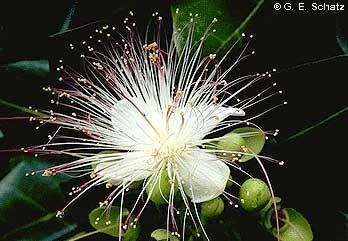 Additional examples of imbalanced distributions include: Gluta (Anacardiaceae) - 1 sp. Madagascar, 28 spp. Malesia; Hibbertia (Dilleniaceae) - 1 (variable) sp. Madagascar, > 100 spp. 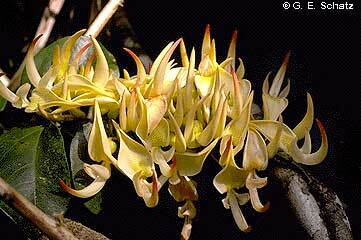 Malesia, centered in Australia; Keraudrenia (Sterculiaceae) - 1 sp. Madagascar, 8 spp. Australia.